What plant is this? It has white /pink flowers growing from the leaf margin. It loves water, and shows an irregular growth habit. I was told it is from Vietnam. 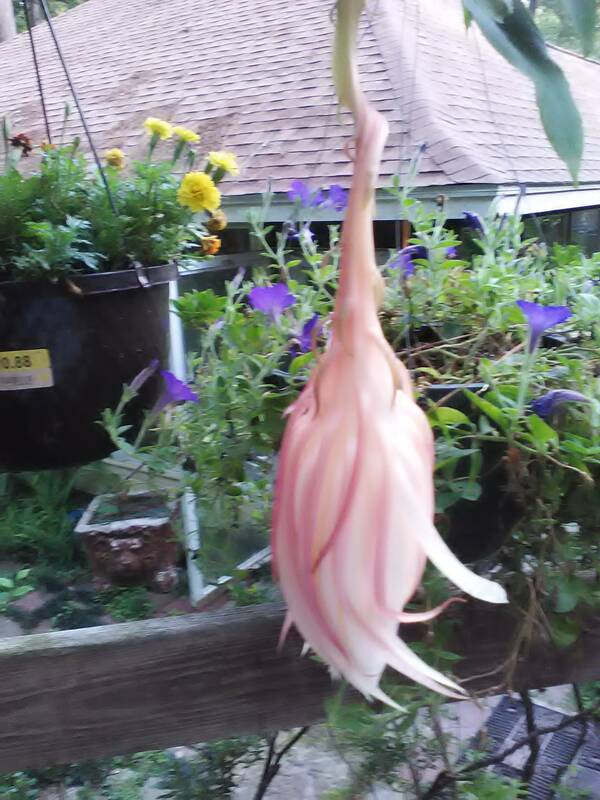 It's an Epiphyllum, a Central American genus of cacti. 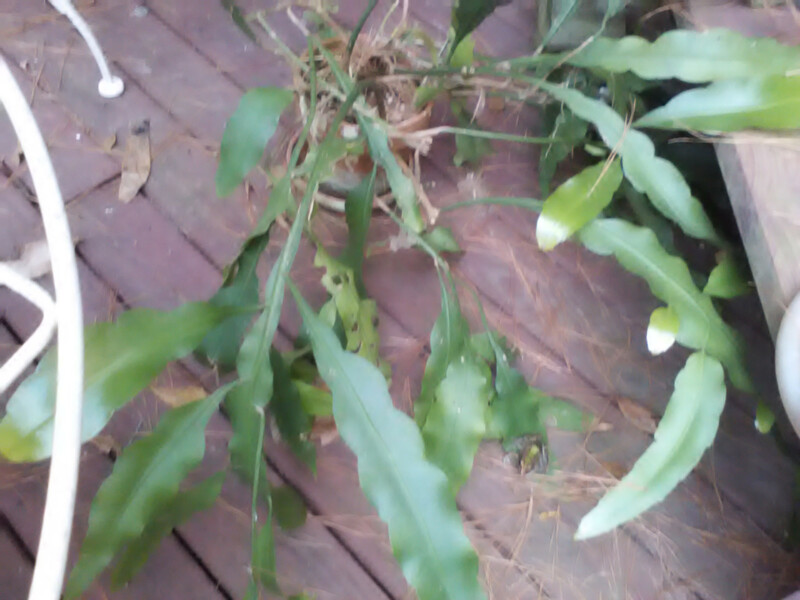 I'm not sure of the species, but Epiphyllum oxypetalum is the most common in cultivation. It may have come from Vietnam, but it's not a native of Vietnam. Cactus are native to the New World only. Any cactus on any other continent is a transplant. SE Asia has been growing several of the "jungle" cactus varieties which have big fruit (dragon fruit). This group of cactus from Central and South America are definitely NOT cold hardy. Your specimen is quite nice. Not the answer you're looking for? Browse other questions tagged identification houseplants or ask your own question. What is this huge succulent plant? What is this white-flowered ground cover plant? What is this low growing plant with pink flowers? What is this plant with two types of leaves and small pinkish-white flowers? What is this plant with pink tubular flowers? Know what this plant is? What is this invasive plant with with small purplish flowers that have lids?